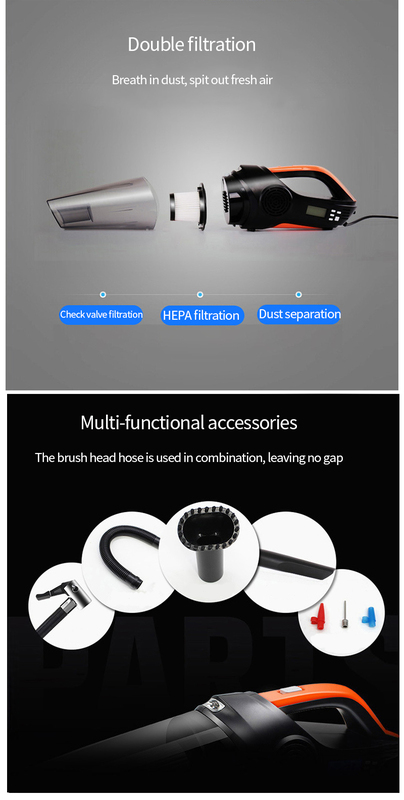 -Versatility & Strong Suction:12V 120W car vacuum, ultra powerful suction, support dry and wet use, can easily pick up dust, crumbs, pet hair, liquid and so much more.Equipped with 3 different types of attachments to make it clean well every areas in your home or car. 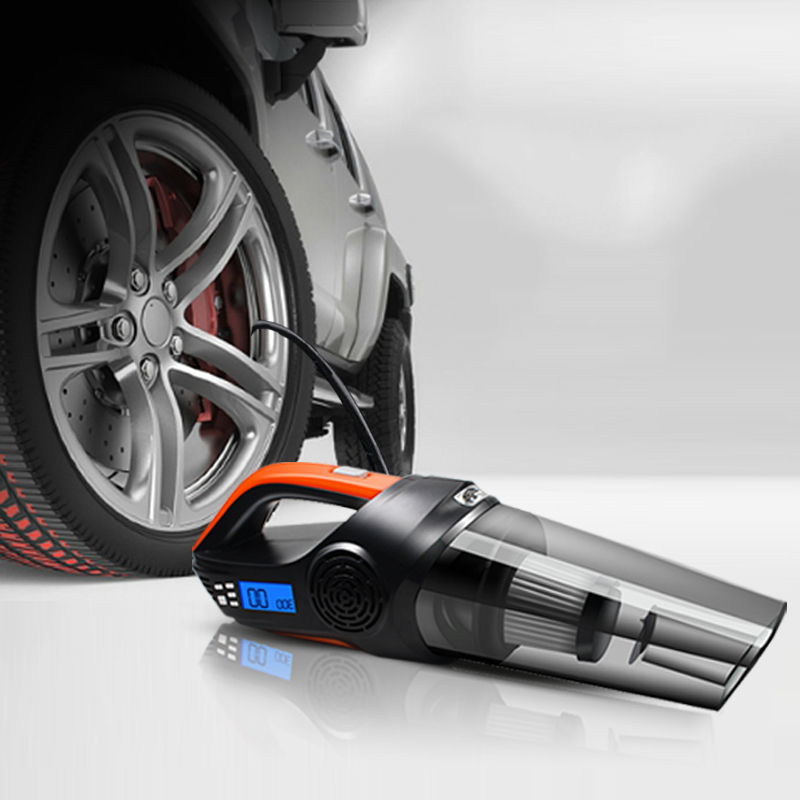 Ideal for a variety of applications, can be used for car cleaning. 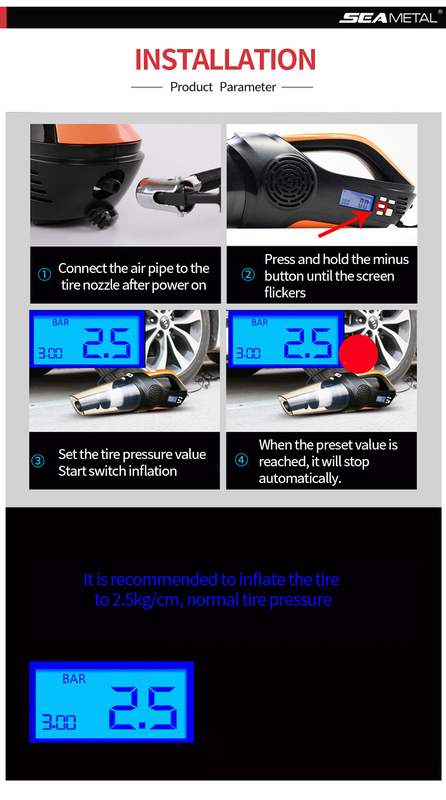 -Innovative Design: With smart digital Tire inflator Tire Pressure Gauge, make sure Accurate Tire Pressure and inflate tires anytime anywhere.Tire Pressure gauge prevents the over-inflation -help you enjoy longer-lasting tires, improved gas mileage,safer and smoother driving experience. -Bulited-in LED Light: Hand-held vacuum, has a built-in LED light, a great helper for dark places cleaning and night cleaning. With this, you can clean hard to reach places with no trouble. 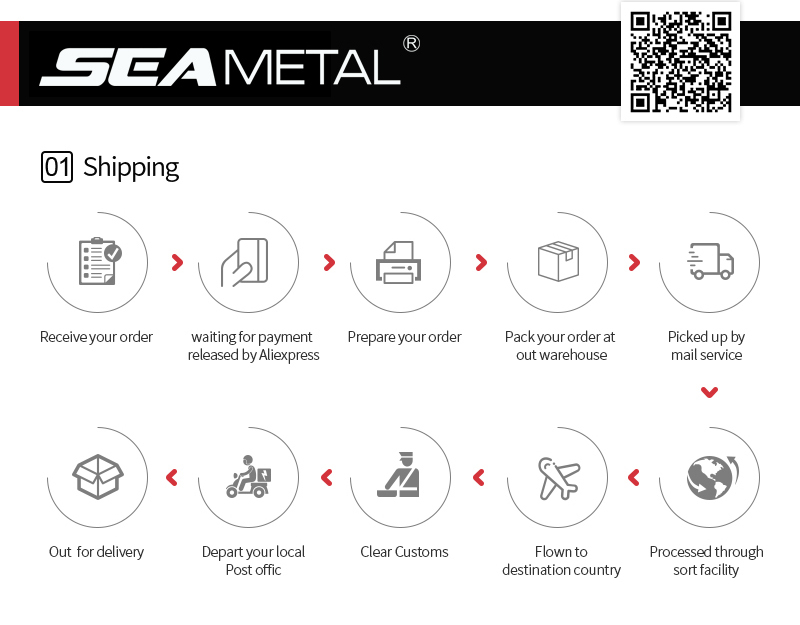 -Quieter Operation: Produces less than 80 dB of sound while keeping its powerful suction capability based on the Mechanical Damping Principles, which gives you comfortable cleaning experience, and not disturb your kids and frightening your pets. 2. 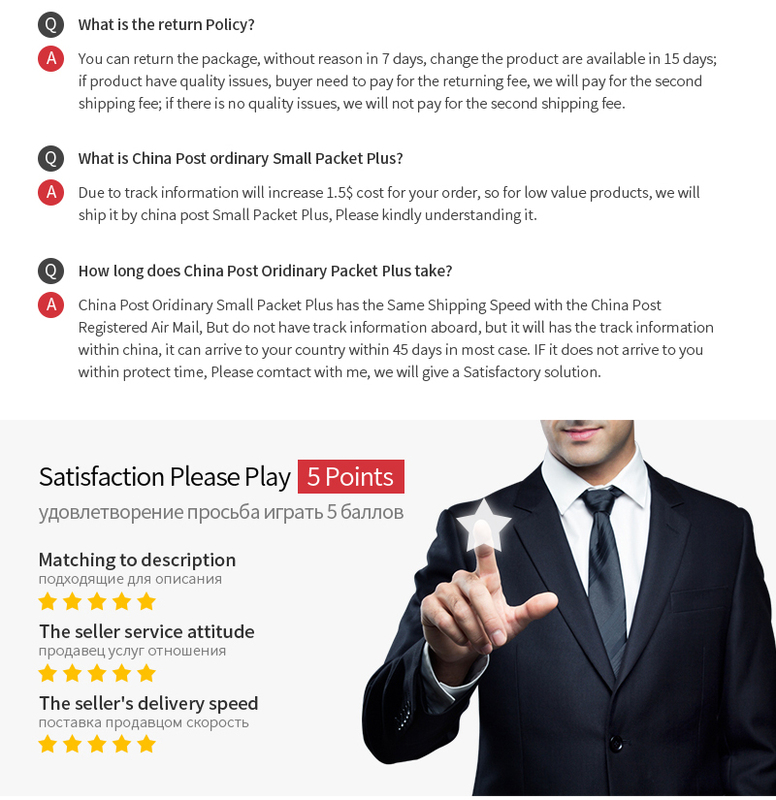 Please allow 1-3cm measuring deviation due to manual measurement.Thank you!